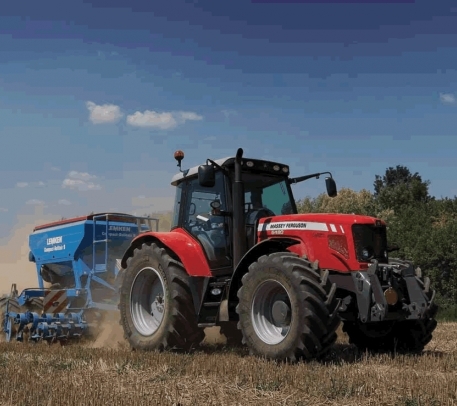 MF6480 tractors specification. As the MF6480 was produced from 2003 to 2012 the standard specification evolved through three main spec changes. 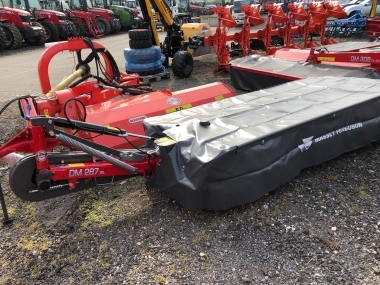 Find below details on the changes to hp, transmission and trim through the years, to select the model of Massey 6480 that best suits your needs. The Massey Ferguson 6480 tractor model was first launched in 2003, with the dynashift (32/32 speed) 40kph Tier 2 version. Standard specification included a heavily revised cab from the preceding MF6290 model, with an industry leading sound level of 72dbA. 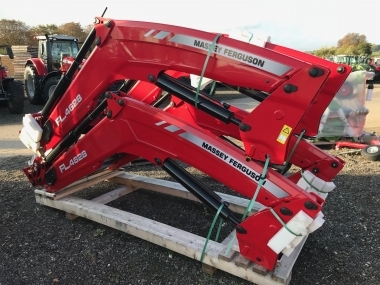 The Massey Ferguson 6480 tractor came with a clutchless powershuttle forward and reverse, using a multiplate wet clutch. Power boost was now a standard feature giving a 10hp increase on rated hp when in ranges 3 and 4 of the 4 speed synchromesh gearbox. Dynashift gave a further 4 speed clutchless gear changes in each gear, along with a high and low range (signified by the hare and tortoise symbols), making 32 gears in both forward and reverse. Optional equipment on the MF6480 included Quadlink front axle suspension, pneumatic cab suspension, closed centre load sensed hydraulics (110 litres/min) and DATAtronic 3 computer screen that could be integrated with electronic spools, if specified, to give full integrated headland management. 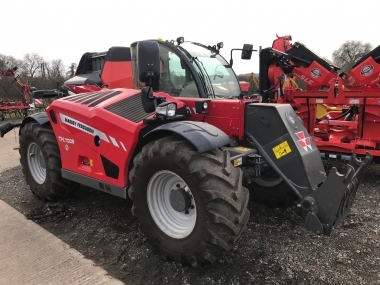 In 2006 the MF6480 model was updated with an all new transmission giving an industry leading new Dyna-6 transmission, this gave 6 full 'powershift' gears, along with a clutchless 4 speed electronically controlled synchromesh gearbox. With the new transmission the MF6480 was now available as a 50kph version, which proved very popular, the Dyna-6 gearbox also allowed powerboost when the PTO was engaged in any gear. 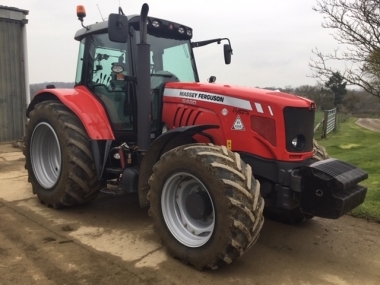 The final major revision to the MF6480 tractor model was in 2007 when the Massey 6480 gained new styling, and one piece pivoting bonnet. Under the bonnet on the Massey Ferguson 6480 was a new and improved Perkins Tier 3 common rail engine, with increased hp, up 10hp on the earlier versions. The common rail engine improved fuel economy, which was further improved when the last change in 2011 was made to the MF6480, when it gained the SISU 6 cylinder 6.6 litre common rail engine, produced 'in house' by AGCO. buy every original 6480 part online. 2006 Perkins tier 2. great puller in field, not so good on road. gear changes bit variable sometimes. several re-calibrations. generally comfortable and reliable. would prefer 6480 to new 7600s. 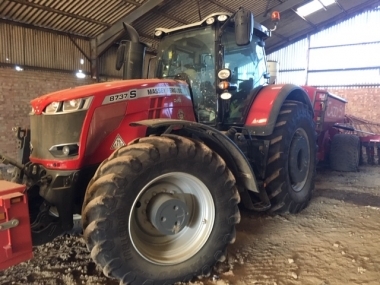 This is our fourth 6480 and it's a good all round tractor with good power to weight ratio that will do every thing i ask of it. 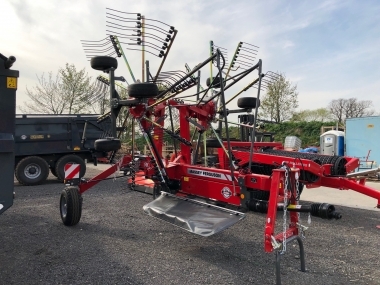 It's the right weight for the lighter operations we carry out as well as being heavy enough (weighted) to undertake all cultivations on the heavy soils. The 6480 is very good on the road although the gear change can be a bit of a challenge sometimes. The dealer back up is exellent, 5 star they will always get you going again with minimal down time.